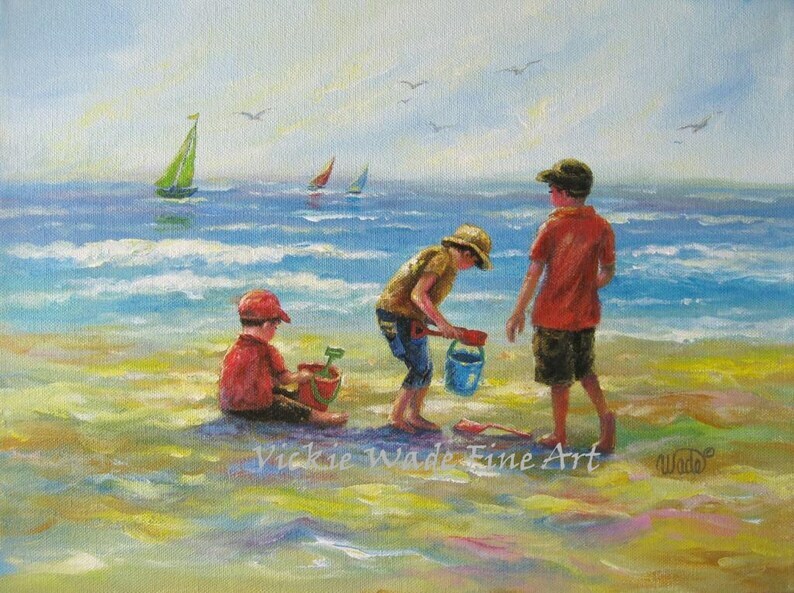 "Three Little Beach Boys II" is a large fine art print of an original oil painting of mine. 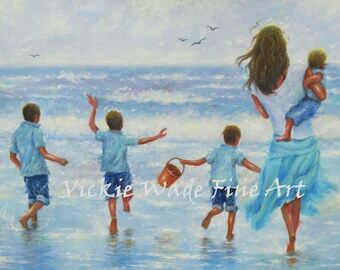 * This print fits nicely in a 16" X 20" MAT/glass/frame combo found at stores like Michael's Craft stores. * "Three Little Beach Boys" ships in a protective cello sleeve rolled in a sturdy tube for a safe delivery. 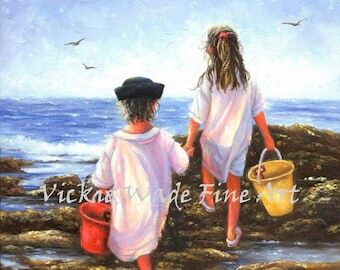 ***If you buy any 2 large prints you can choose a 3rd 11X14 on 12X18 print for FREE...just let me know in message to seller at check-out which free one you'd like...don't place 3rd print in cart or it won't be free! The item is exactly what I ordered, it came quickly, whithout any issues.